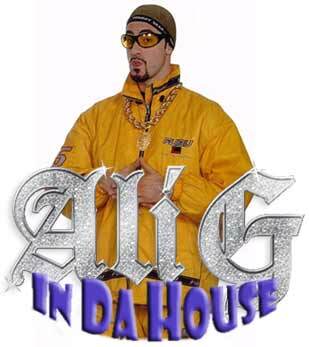 Ok, so it doesn’t have the same ring as Ali G, (and I suspect there are very few who even get the reference! Oh well). My Festool CT36 has managed to find its way inside, and it looks a bit out of place – when you get it in a small room, you realise just how large it is (particularly combined with the Oneida cyclone and Festool Boom arm). If I hadn’t cut down the height of the boom arm by 6″ or so when I got it to fit under the shed rafters, it wouldn’t have been able to get through the doors either (without lifting and tilting the whole setup that is). I have bought it inside as I am doing some patching and plastering, and wanted to sand without dust. Speaking of dust, before I bought it inside, I gave the unit a quick once-over with compressed air, and emptied the bags. Well that is not strictly true. My Festool has the Oneida Dust Deputy Ultimate II on it from Professional Woodworker Supplies. I hadn’t checked it for a while (other than to quickly confirm if the bin was full or not), but certainly hadn’t checked how much carry over there had been. The Ultimate II has a small tube that provides suction to the bucket, and as such means the bin can have a plastic bag for dust collection. This is very convenient, and a significant improvement over the Ultimate (I). So I was able to lift this bag out, and it was full of the worst kind of dust that your parents warned you about. Not the sort of dust you want to bring home to meet the folks. The dust that had been collected was so fine, that if thrown onto an open fire (or ignition source), it would create a serious fireball. It is all about the surface area of the fuel, and the abundance of oxygen. Not the sort of stuff you want to be breathing. So then I went and tried to empty the Longlife Festool dust bag. I tried, but there was nothing to empty. It had all be captured by the Cyclone. If there was any carryover, it was too fine to see, or capture easily in the vac bag, and would have then been caught by the HEPA filter. What was going in was definitely not coming out! So bad news for the Longlife bag – with this system, you can stick with a disposable bag, and even that for a long time. You don’t actually need the capacity of the large vac either if that isn’t as important. It also makes emptying much easier, as you are not lifting off the whole motor to get access to the dust bag. Not to say that the Festool vac is redundant – having a combination of autostart or direct power through ports on the vac, boom arm, combined power lead and hose, variable speed, HEPA filter etc etc, still sets the Festool Cleantex apart. The Ultimate II just makes it even better. 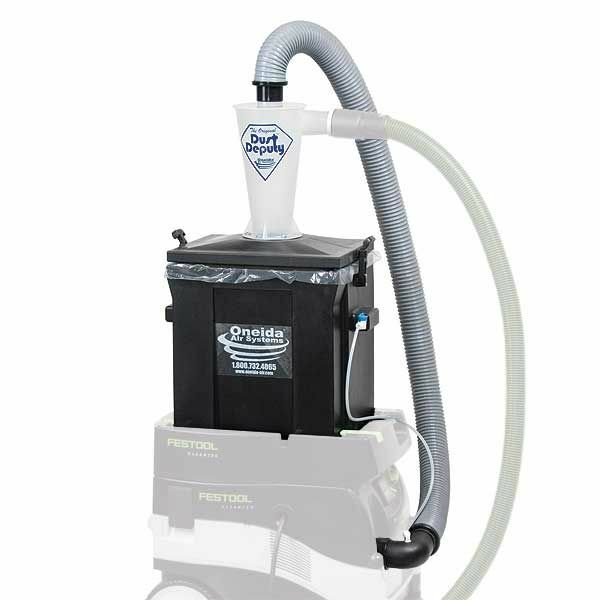 It was a pretty convincing demo of the Ultimate II cyclonic dust separator. After reading and following your blog, can I ask a quick question please? Like you, I do my woodworking in a nice shed at home. Although it’s only been a very minor issue, there is the element of noise in blokes’ sheds when routers, table saws, sanders and dust collectors are in full swing. What do you do about noise?Is it a problem? I ask because I’ve heard a cyclone in operation at Perth Wood School, where I do courses occasionally, and they’re pretty loud normally. Noise can certainly be an issue. I have had very tolerant neighbours here, to the point that they have occasionally heard me trying to finish a job at midnight and not said a word. They have been very cool about it. It is very unlikely to continue at the new place, so I am going to have to be much more observant of the time. The new shed will also be insulated, and there are batts specifically for noise absorption. Unlike a traditional bag dust extractor, a cyclone does lend itself to having some sort of baffle/muffler system attached (home made) to reduce running noise, but other than that, there is little you can do.